I’ll be hosting a one-hour live chat via YouTube Live, streaming on my YouTube channel! 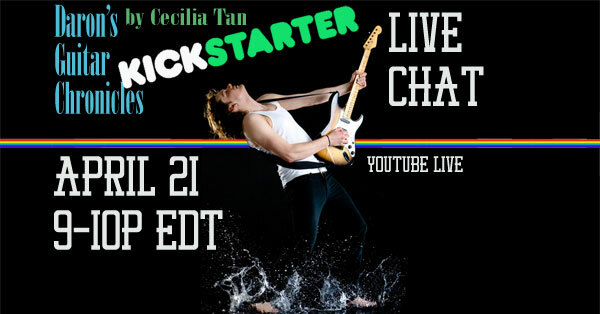 This Thursday from 9-10pm Eastern (Apr 21) I’ll be talking all things Daron, the latest Kickstarter, and reading from Daron’s Guitar Chronicles, as usual! Please spread the word, invite your friends, and thank you everyone for your support!